Twelve students from Dayap Elementary School-Annex in BayaniJuan in Calauan, Laguna recently received the Lopez Group Foundation, Inc’s (LGFI)-Oscar M. Lopez Scholarship Award for school year 2013-2014. “The Oscars” or the Oscar Scholarship supports children who show perseverance, good moral character and excellent academic achievement despite poverty. The scholarship will cover for the students’ daily food, transport, uniforms, school supplies and school projects allowance. 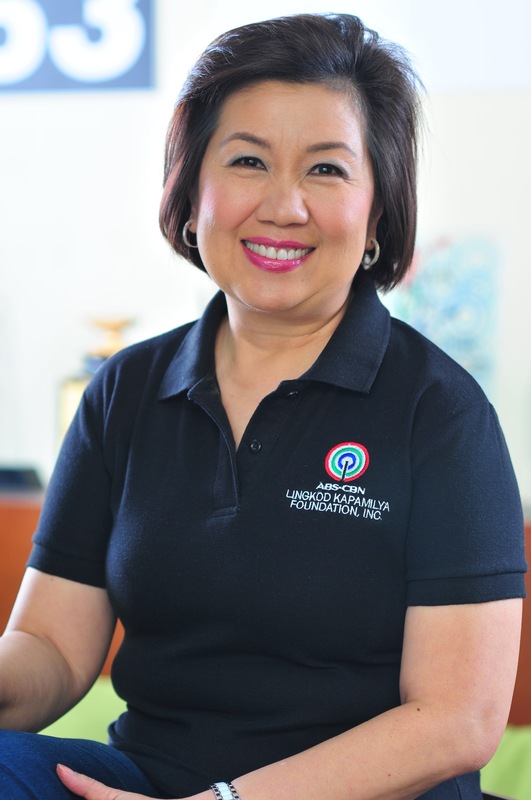 LGFI President Cedie Lopez-Vargas and LGFI Managing Director Angela Lopez personally delivered the cheque donation to ABS-CBN Foundation’s Bantay Bata 163 which was received by its Managing Director Gina Lopez. Bantay Bata 163 will administer the scholarship program that includes monthly cluster meetings with parenting sessions, values education and counseling. The twelve students from BayaniJuan came from families who used to live in Estero de Paco. With the support of donors like LGFI, these families are slowly making their lives better. 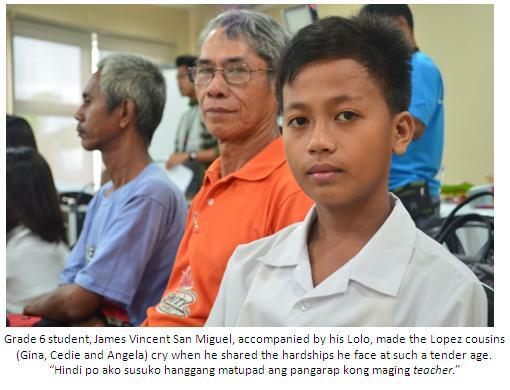 One of the recipients of the scholarship, Grade 6 student James Vincent San Miguel, warmed the heart of the Lopez cousins (Gina, Cedie and Angela) and everyone else when he said, “naulila po ako sa ama noong ako ay isang taong gulang pa lamang. Dahil po sa kahirapan, lagi pong naapektuhan ang aking pag-aaral ngunit ipinapangako ko na mananatili akong positibo at hindi susuko hanggang matupad ang pangarap kong maging teacher”.